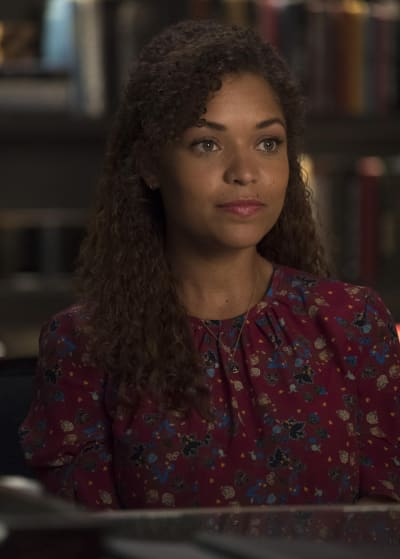 The Shaun-Lea apartment drama continued on The Good Doctor Season 2 Episode 5, and for the first time in a long time, their relationship seems to be on the right path. And the best part of all is that they’re keeping things platonic. TV characters have a knack for becoming romantically linked and ruining everything. “Carrots” was the installment that proved why these two can work well together as friends because, well, romances between roomies are overrated. The biggest positive for me was that Lea recognized that their relationship could break down as a result of living together and gave Shaun a list of scenarios that could occur. If we get an apartment together, I feel like that’s a signal that you and I might end up as boyfriend and girlfriend, and that’s not going to happen. Romantic relationships are unpredictable. So much can go wrong, especially when I’m involved. Anything that puts our friendship at risk isn’t worth it to me. She’s one of few people that actually speak to Shaun like he’s an adult, and that’s possibly why Shaun has such a strong connection with her. Knowing that Lea is sticking around for the whole season, the powers that be had to find a way to immerse her into Shaun’s personal life because it’s difficult to imagine her being a part of any storylines within the hospital. Did anyone else cry tears of joy when the duo realized they were getting an apartment with a fireplace? Who does not want an apartment with a fireplace? It’s perfect for those cold winter nights when you want to be relaxed and binging your favorite TV show. While Shaun was making strides with Lea, he was struggling to motivate Glassman to get out of bed and exercise. It really was only a matter of time before he turned to Dr. Blaize for some assistance. The biggest takeaway from their first meeting was that Glassman had talked so much about Shaun that the oncologist thought she knew Shaun. She seemed genuinely excited to put a face to the name, and I liked that she was open and honest with Shaun about the way Glassman was acting. A part of me thinks she knew Shaun would take the analogy about the donkey quite literally because she knew he was resourceful enough to motivate his friend and mentor. I never thought Debbi would be the one to get things moving because she dropped off the face off the earth, but Glassman felt like he had something to get up and go a walk for. The road to recovery is all about baby steps, and the support system Glassman has in place is second to none. It won’t be long before he’s right as rain, but we still don’t fully know what he will be doing at the hospital when he’s better. Andrews has taken over his role, presumably on a permanent basis, and it’s hard to imagine Glassman returning to the world of surgery, so where does that leave him? 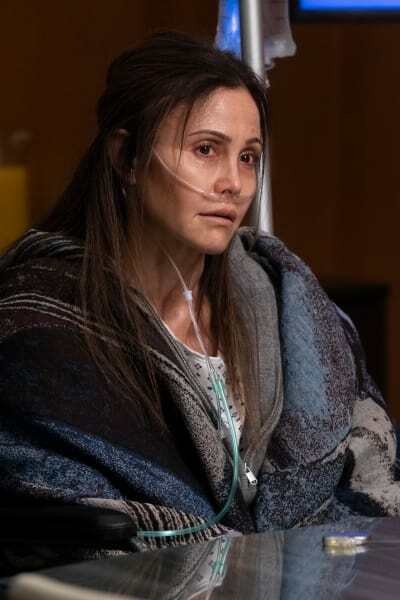 Sam’s eating disorder was a tragic tale, and it was heartbreaking that she genuinely wanted help, but her mind was telling her about the nutritional information on that was being fed to her via a tube. The best part about this storyline was that it made Morgan a little bit more likable, and I didn’t think that was possible. Morgan knew having Grant in the loop would make Sam more likely to accept the help she was given, but it still proved to be difficult for her. 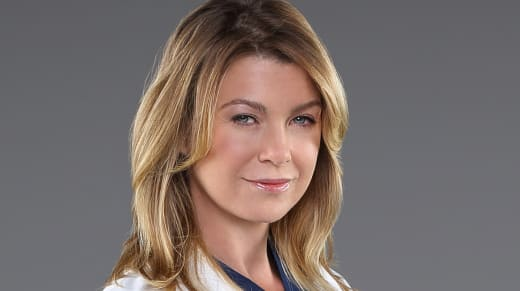 I’m generally always Team Claire, but her persistence rubbed me the wrong way on “Carrots.” I love that she had the initiative to seek out a potential solution, but finding one with six subjects and a fifty percent success rate just felt off. It was a big risk, and there’s no telling whether it even paid off. Sam said that she wanted something to eat upon waking up from it, but her relationship with her family was changed forever. Andrews told Claire to be more assertive, but I definitely think she crossed the line on this occasion. Melendez would not have declined the procedure unless he had some serious doubts about it. I did find it predictable that he was one of the ones who approved the surgery because Claire put on a great presentation that went through the finer details of the surgery. However, she still went behind Melendez’s back, and that’s why he had to take her off his team. If you watch The Good Doctor online, you know that Melendez doesn’t mind being challenged unless there’s a reason for it. In this instance, however, the pool of test subjects for the clinical trial was too small a number to take it seriously. Wade’s storyline was rather heartbreaking. He struggled with his weight in his younger years, and losing the gastric bypass meant he could pile the pounds back on. It’s no wonder he kept the gastric bypass a secret from his husband. Granted, he did put the doctors in a difficult situation, and it was only a matter of time before someone slipped up. 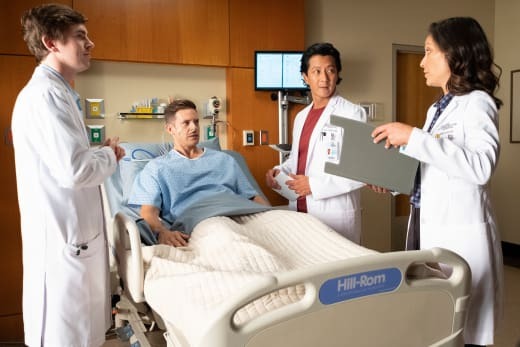 Related: The Good Doctor Promo: Who Might Die? Spence didn’t seem to enthused to learn that Wade could pile the weight back on, and I dare say it’s changed the scope of their relationship for good. They’re married and have been together a long time, but secrets have a knack for tearing relationships apart. As such, there’s going to be some testing times ahead for them. 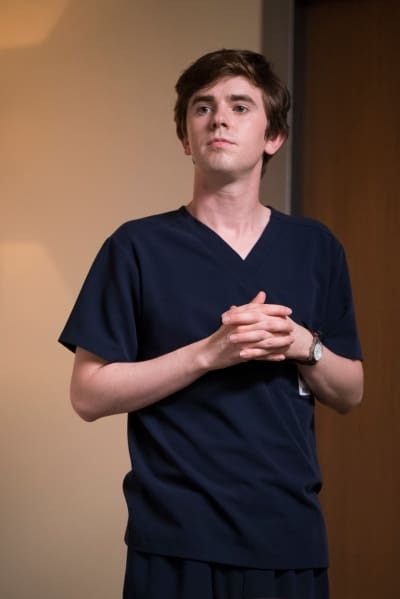 What are your thoughts on the latest episode, The Good Doctor Fanatics? 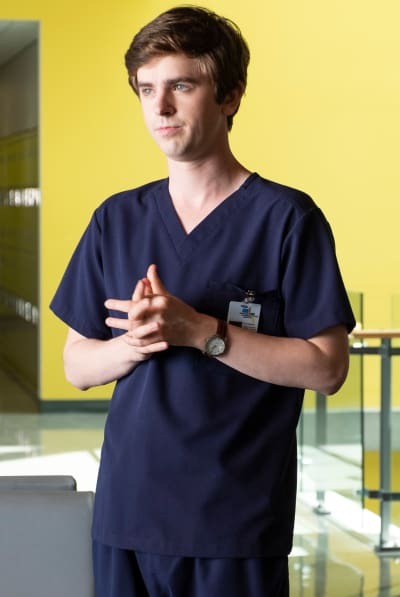 The Good Doctor continues Monday on ABC.